The release of the award-winning sandbox prison-escape will be the most content-packed version of the game ever released and will include all the prisons from the base game plus nine bonus maps, including one which has never previously been released on console, Fhurst Peak. Escaping won't be easy though. You'll have to work around the strict prison schedule and avoid the unwanted attention of guards! You’ll need some cash to put your plan in to action. Get a prison job or perform favour requests for your fellow inmates to earn those vital funds. Use your hard-earned cash to barter with traders for tools and crafting supplies. Just make sure you find a good hiding place for your stash and pay attention during roll call to avoid cell shakedown, you wouldn’t want to lose that coveted shovel you’ve worked so hard to craft together! The Escapists: Complete Edition was released on Switch 208d ago in the US and the UK. 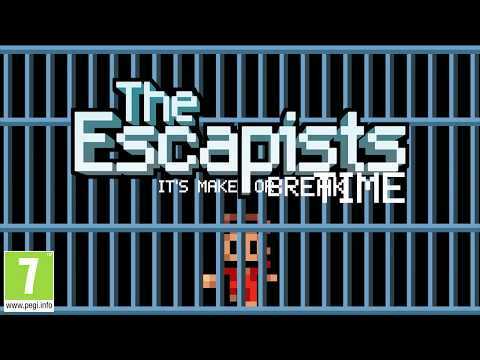 Notify me when The Escapists: Complete Edition is available.